When the menu is loaded. 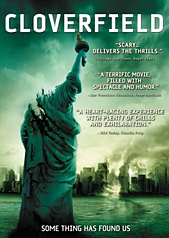 Go to "Special features" and hover your cursor above the Statue of Liberty head. A red helicopter icon wil appear. Once clicked, some funny clip with people from the cast/crew will play.